Have you every wondered how quickly you could get a CMMS up and running? Most people think it’s a long process that takes months. Well, depending on the CMMS you choose, you might be right. But with Fiix, it takes hours, not days and weeks. 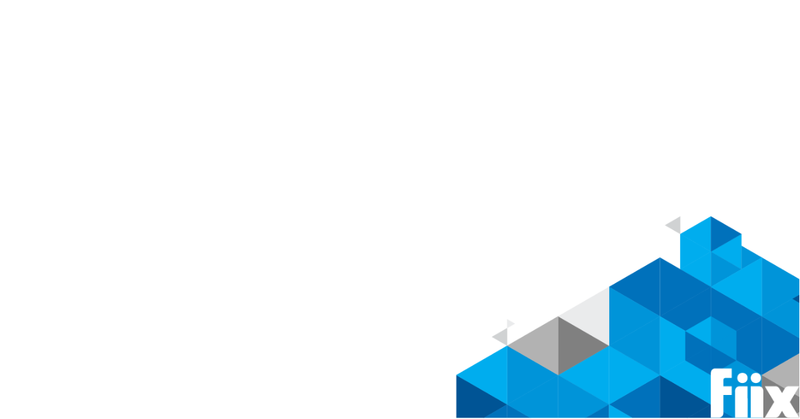 We’ve made a CMMS Tips & Tricks eBook available to you that helps you get up and running smoothly and quickly. Create an Asset. Add custom fields, and any documents, images or links to files etc. Populate the Scheduled Maintenance with the task list etc. Use the copy function on the asset line item to copy the asset and its associated scheduled maintenance over in one go. If you use task lists, then any changes in the future will be reflected in all the scheduled maintenance for that asset type. Asset Categories are a simple way of grouping similar assets together. If the asset hierarchy is like your folders on your PC, then the asset category is like the file type. During the implementation stage, you could leave all equipment assets in the main equipment category. Overtime, you could create categories that better define the equipment types. Categories are useful when comparing like with like using reports – you can then make informed decisions on similar equipment such as repair or replace. Custom fields are also tied to asset categories. Locating that generator unit in the sub facility in your CMMS when all your generator units are called “Generator” can be a nightmare. This is a common problem that organizations have when they start using their CMMS for the first time. The answer to the problem is to create an asset labeling convention during the CMMS implementation process. Basically, this is just a way to name your assets in your database so they can be identified quickly. For more information, see our asset labeling convention blog. You can then pull these checklists directly into work orders or scheduled maintenance by clicking the double add icon at the bottom of the task pane. If additional tasks needed to be added down the line, you only need to change the task group and it follows through to all scheduled maintenance actions and any new work orders that are created. You won’t need to change each PM individually. The primary goal of a maintenance inspection is to identify reliability issues that, if left unattended, could develop into major fail. Early problem detection is crucial in preventing potential major issues, thus reducing maintenance costs. But what happens when you are performing inspections on a number of different assets? How do you handle this in your CMMS? You create a scheduled maintenance for each asset but this is time consuming and not an efficient use of the software. 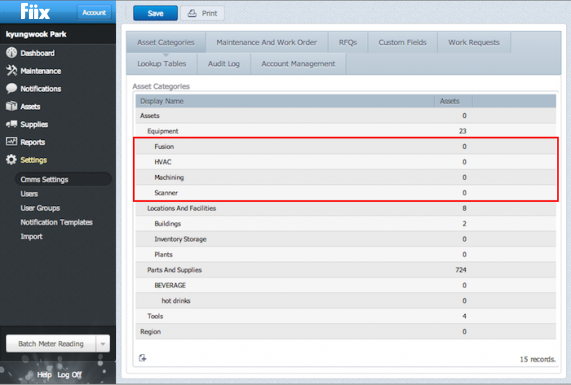 Alternatively, create one scheduled maintenance with all designated assets using a multi asset function. This means the user gets one work order every time the PM triggers. For more info on Multi Asset Work Orders, see the Multi Asset Work Order blog post. 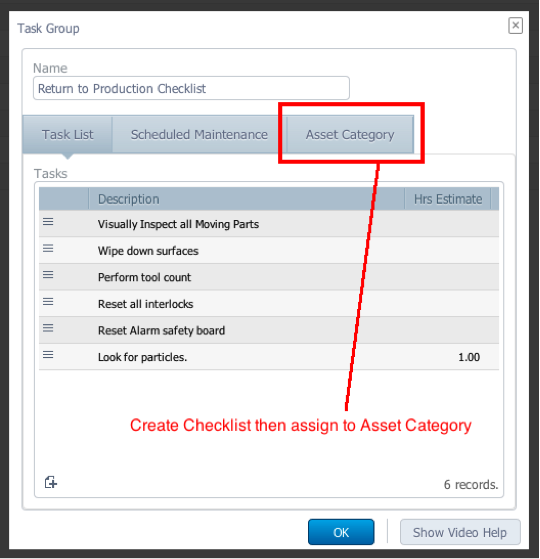 Every time a work order is created for any asset in that asset category, the checklist is auto populated.